New Delhi– India moved a step closer to becoming a unified market in line with the federalist vision of the architects of its Constitution with the passage in Parliament on Wednesday of the GST Bill, which extends pan-India except to Jammu and Kashmir for now. Jammu and Kashmir will need to pass all four bills in its state assembly, on account of its special powers on taxation under the Constitution. The Lok Sabha passed the much-awaited Central Goods and Services Tax (CGST) Bill, Integrated GST Bill, Compensation GST Bill and Union Territory GST Bill 2017, after negating all the amendments put forward by the Opposition. The four GST Bills were passed after an eight-hour marathon debate in the Lower House. The government is targeting the roll-out date of July 1 for the new indirect tax regime. Jaitley said that goods may become “slightly cheaper” once all other taxes are removed after implementation of GST. Replying to the debate on the four bills in the Lok Sabha, he said all other taxes like entry tax in states will be removed once the GST is in place. “Once all other taxes are removed, the cascading effect is removed, goods will become slightly cheaper,” he said. 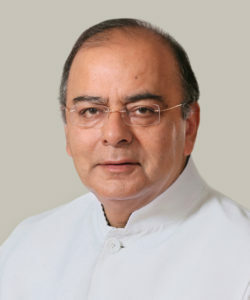 Noting that both the central and state governments are pooling their sovereignty to have this tax regime, Jaitley noted that India, despite being one political entity, remained different economic entities with states having different taxes. “Centre and states both pooled sovereignty into one Council. It is India’s first federal decision making authority,” he said. The GST will subsume various indirect levies of the Centre and states like service tax, excise duty, octroi and value added tax (VAT). Actual tax rates would be as per a four-tier rate structure of 5, 12, 18 and 28 per cent as approved by the GST Council. Clarifying on the tax rate on petroleum products in the regime, Jaitley said that the Council has decided that the petroleum products though they have been included under GST, will remain zero rated as of now. “The Council decided that we will take up the issue of petroleum products in a year after implementation of GST. Today, constitutionally petroleum products are under GST, but will be zero rated. So once Council decides it can be taxed under GST, we won’t need to amend the Constitution,” he said. Jaitley said that once implemented GST will have a significant impact on the taxation system as the entire system will be restructured. He said that the nature of economic activity today is changing and the objective of GST is to have “free flow of goods and services pan-India, with one tax and one interface with one assessing officer”. The system will be more efficient, is not easy to breach and has higher compliance, he added. Following the Bill’s passage, Jammu and Kashmir Finance Minister Hasib Drabu told reporters that the state’s own constitution, allowed under special dispensation, requires CGST to be ratified by the state legislature. “We will go to our assembly and get it passed before the target date of July 1,” he said. “We will start the process (ratification) sometime in May or June and meet the July implementation target,” he added. Jammu and Kashmir is the only state in the country with powers to tax services. Speaking in the Lok Sabha debate earlier, Congress leader M. Veerappa Moily pointed out that it was the previous Congress-led United Progressive Alliance government which brought in the GST bill. “This important game-changer enactment was envisioned by the UPA government. It should have been implemented at the time, but some opposition parties then felt that it has to be halted,” he added, alluding to the Bharatiya Janata Party, which is in power now. Indian industry, which has welcomed the GST Bills passage in Parliament, has however, called for a postponement of the targeted implementation date of July 1, to allow it to prepare adequately for the GST rollout.